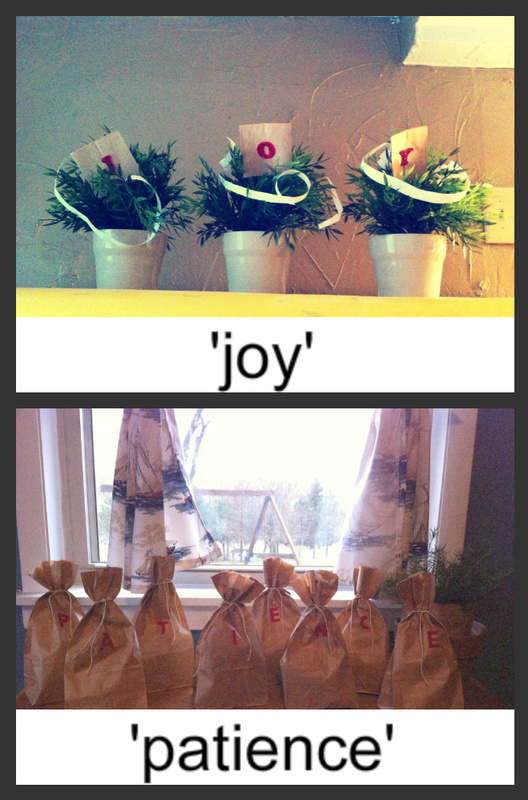 Last year, I was looking for a word that could be visual in our home. We wanted to be reminded of God’s continuing presence in the midst of our shaken up life. 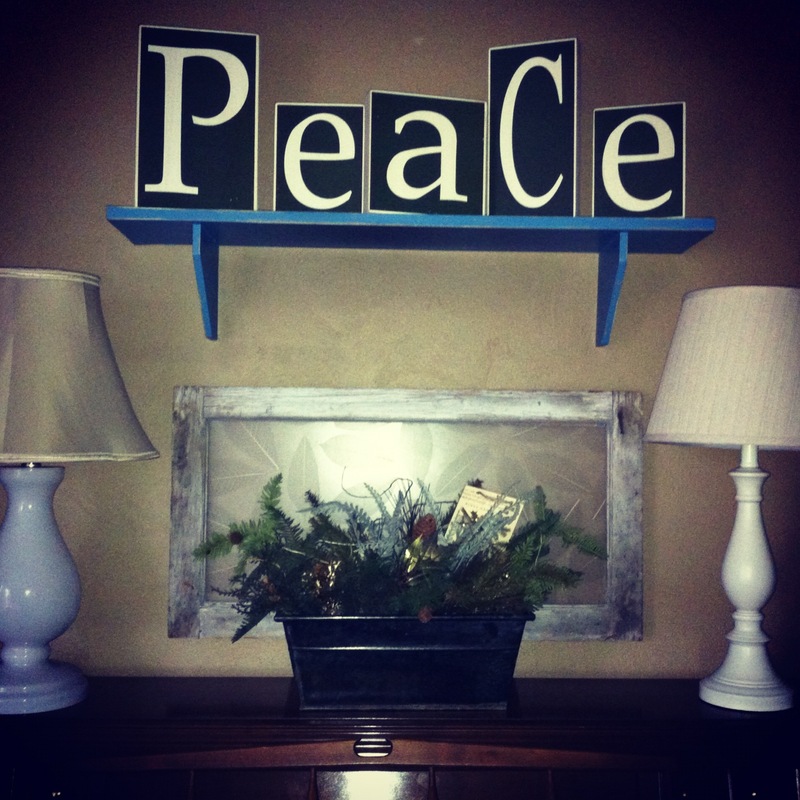 I brought our Christmas decorations out this year & decided to put the words ‘Peace’ out again and also add the other ‘Fruit of the Spirit’ words in our decorations. I like having the words out to see. 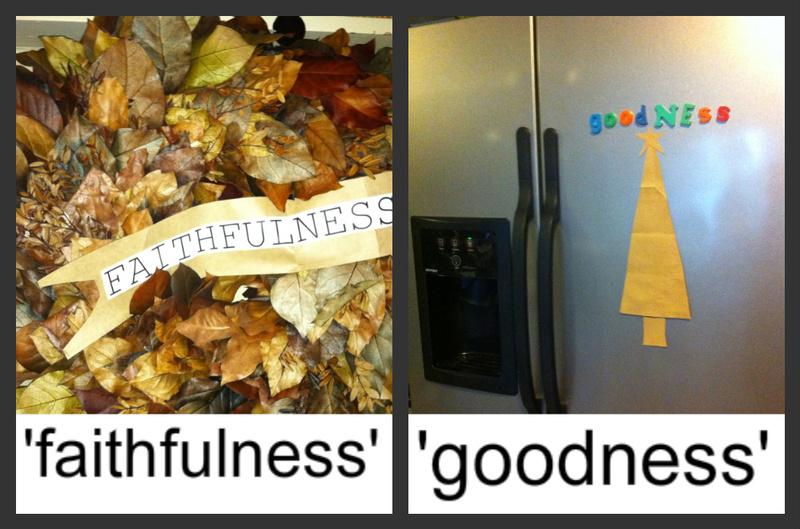 And also to be reminded of God’s fullness in our everyday lives. Deuteronomy 6, esp. vs. 5-9. Go into the land, Love. That was my devotion this am from Joyce Meyer. How we already have them to draw on direct thru the Holy Spirit. Seeing them makes a difference….